The Ohio State Buckeyes were gifted new LeBron James cleats earlier in the week, and according to a report from ESPN, The King himself will be in attendance on Saturday to watch his favorite college football team take on its rival. ESPN is reporting that James, along with his Cavaliers teammates, will be in attendance for The Game. The Cavs have a home game against Dallas on Friday night and an away affair against Philadelphia on Sunday. 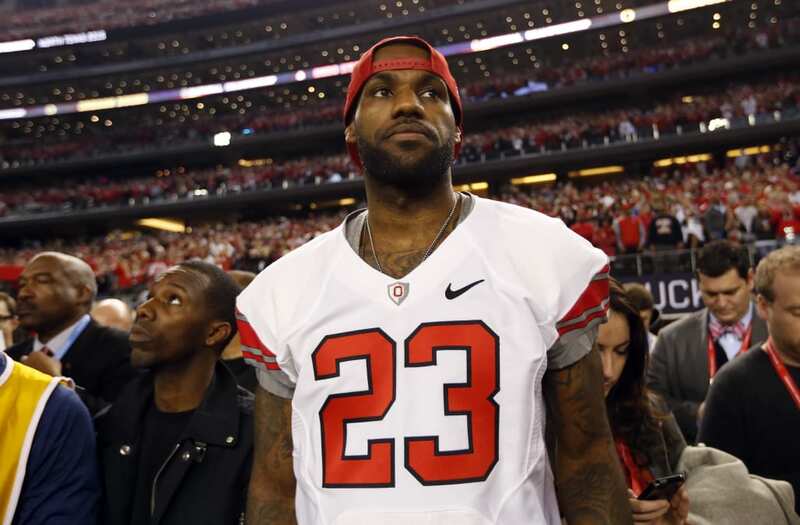 Will LeBron's presence lead the Buckeyes to a victory? If so, Ohio State will likely land in this year's College Football Playoff. The post Report: LeBron James To Attend Saturday's Ohio State vs. Michigan Contest appeared first on The Spun.